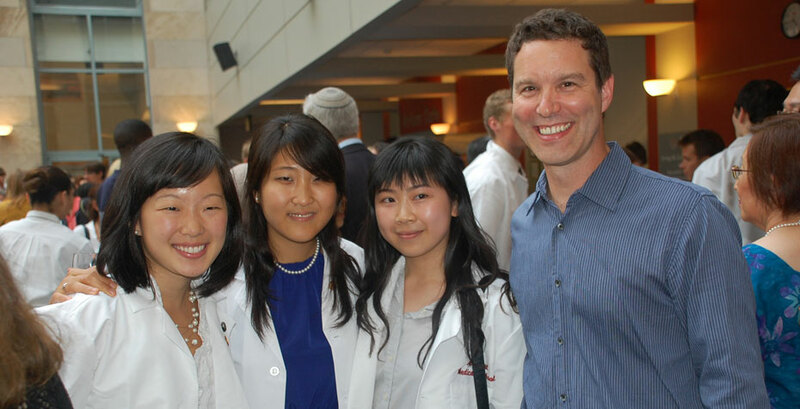 Dana (Da Eun) Im ’10 has won a prestigious Paul and Daisy Soros Fellowship for New Americans. The Soros Fellowships began in 1997 by Paul and Daisy M. Soros of New York. The purpose of the fellowship is to support New Americans–permanent residents or naturalized citizens if born abroad; otherwise children of naturalized citizen parents–in graduate study. Soros Fellows represent 125 undergraduate institutions and 52 graduate schools, and represent 73 countries of family origin. Each fellowship is worth up to $90,000 over two years. Ellie Perkins, director of Fellowships at Wellesley's Center for Work and Service, reports that Im is the third Wellesley alumna to win the award. Fellows are selected on the basis of merit–the specific criteria emphasize creativity, originality, initiative and sustained accomplishment–in annual national competitions. Im was born in Korea and immigrated to the United States with her parents at the age of 11. She found her passion for advocacy and medicine at a very young age, when her family struggled to obtain healthcare as non-permanent residents. This passion led her to Wellesley where she majored in neuroscience with a minor in women’s and gender studies. “At Wellesley, I began to realize American ideals, which include opportunities to achieve and prosper regardless of circumstances of birth,” said Im. “I sought out opportunities to work with professors who not only helped me ground my passion for medicine but also supported my continued growth as an advocate.” Those professors included Marc Tetel in the Neuroscience Department and Charlene Galarneau in Women’s & Gender Studies. After receiving her green card in her sophomore year, Im traveled to a rural village in Guatemala to study the healthcare systems there. “I immersed myself in the lives of the villagers, whose social conditions gradually became part of my life,” she said. “I realized that their health was determined not only by the quality of available health care but also by their restrictive social and economic conditions.” Together with the villagers, Im developed a long-term project entitled Proyecto Doctoritas to empower the community in taking charge of their health care. Proyecto Doctoritas is an ongoing program in which Wellesley students continue to take part. Im won a Susan Rappaport Knafel ’52 Scholarship for Foreign Study in her senior year. This enabled her to earn an M.Phil. degree in public health from the University of Cambridge in 2011. After Cambridge, she entered Harvard Medical School, where she is currently pursuing her medical degree and plans to apply to master’s degree program at the Harvard Kennedy School of Government as well.